Oružane obrambene snage Mozambika (Forças Armadas de Defesa de Moçambique) osnovane su polovinom augusta 1994. godine od prijašnjih sukobljenih strana iz građanskog rata koji je prestao 1992. godine. Nove oružane snage formirane su kroz specijalnu komisiju (Comissão Conjunta para a Formação das Forças Armadas de Defesa e Segurança de Moçambique) kojom je predsjedavao predstavnik UN-ove misije u Mozambiku (ONOMUZ). 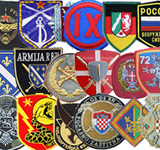 U nove snage su integrirani bivši pripadnici Narodne snage za oslobađanje Mozambika (FPLM) te pobunjenika, Mozambičkog nacionalnog otpora (RENAMO) koji su željeli ostati u uniformi. 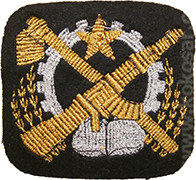 The Armed Forces for the Defence of Mozambique (Portuguese: Forças Armadas de Defesa de Moçambique) or FADM were formed in mid August 1994 from the previous warring factions of the Mozambique Civil War, which ended in 1992. 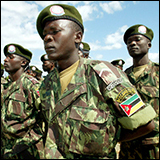 The new armed forces were formed through a commission, the Comissão Conjunta para a Formação das Forças Armadas de Defesa e Segurança de Moçambique (CCFADM), chaired by the Organization of the United Nations to Mozambique ONOMUZ. The new armed forces were formed by integrating those soldiers of the former Popular Forces for the Liberation of Mozambique (FPLM) and the rebels, the Mozambican National Resistance (RENAMO) who wished to stay in uniform.